Riverbend Montessori School is the oldest Montessori school in Sugar Land serving Fort Bend County for more than 37 years. It started as a preschool and now serves students through sixth grade. Many of our staff have been providing Montessori education to Fort Bend families for more than eight years. If you want to be an active participant in your child’s education and a member of a vibrant school community, then Riverbend Montessori is your community. 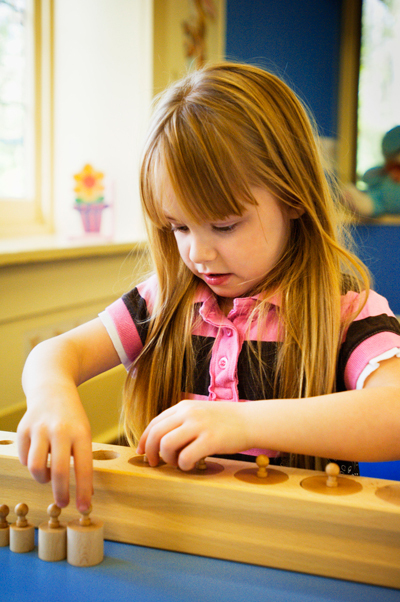 Montessori is the most popular non-parochial private school education system in Fort Bend County. It is a proven educational system having been used for more than 100 years around the world. Riverbend is best known for active family involvement in the First Colony community and has a record of excellence in the classroom and beyond. Sir Ken Robinson, PhD, is an internationally recognized leader in education, creativity, and innovation. His TED talks have been viewed by an estimated 200 million people. He has worked with governments and businesses across the globe on issues of education and creativity. His presentation on the Reformation of Public School illuminates the problems of the current public educational system. Sir Robinson points out how conventional schools are based on the Industrial Age factory model creating “standardized” students. He believes that creativity is as important as literacy. Yet, today the arts are being taken out of public education due to budget cuts. In Riverbend Elementary classes, in addition to a formal art class, the students incorporate art into their lessons. Recently, after visiting the Houston Museum of Natural Science, the students painted pictures of the plants and animals seen on the field trip. Our children’s education must prepare them for a future we cannot grasp. We have no idea of what the world will look like in five years; yet, we must educate children for a world 20 years in the future. Montessori classrooms develop the child’s inner motivation to learn. The children are encouraged to be independent. They are self-directed, responsible learners, and Montessori students become life long learners. Surely, these are life skills that will prepare the students for their future.